Save A Packet has been operating in Kingsbridge Devon for over 20 years. 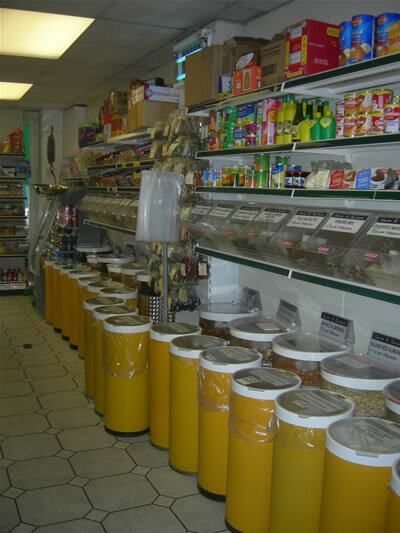 Selling a range of over 200 loose food and household items, as well as a great choice of confectionery, pick ‘n’ mix sweets, herbs and spices, groceries, wild bird food and a comprehensive list of cleaning products. Our loose foods are delivered weekly, for optimal freshness and quality. We encourage telephone orders, enabling us to prepare your order before you arrive. In addition bulk discounts are available – please contact us for details. Whilst we offer a range of containers for storing and transporting your loose products – we are happy for shoppers to bring their own bags and containers for filling. Whether you need a tablespoon or 25Kg of your chosen product, come and visit Save A Packet and meet our friendly and knowledgeable staff. Since you only purchase the amount you require, wastage is significantly reduced. Should we not stock what you are looking for, we will make every effort to secure the item(s) concerned. We are always happy to receive customer suggestions regarding ways in which we may improve our standards of service and product range still further.